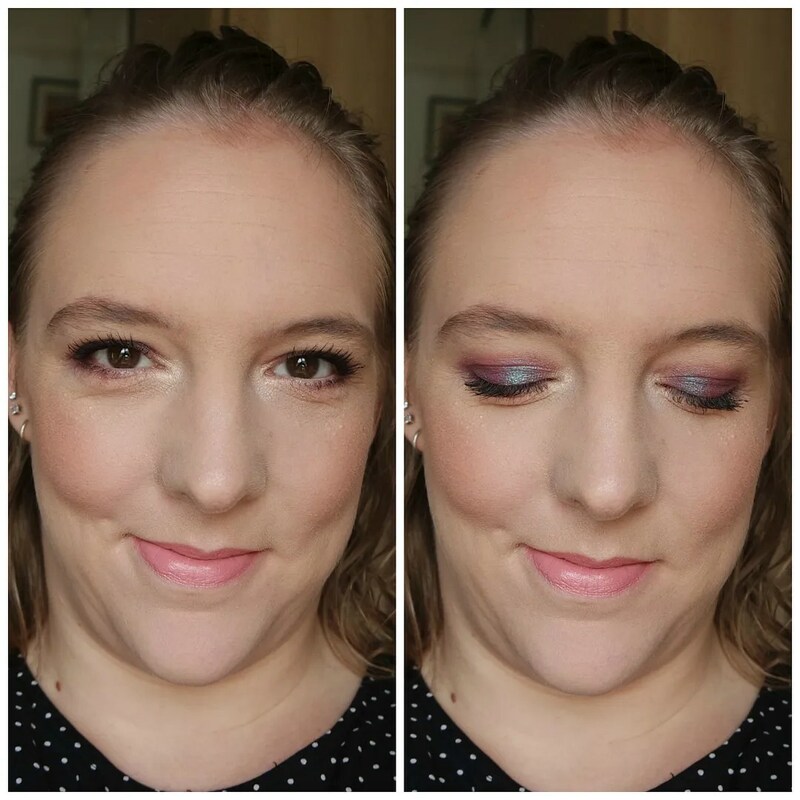 It’s been a while since I wrote a review about a single eyeshadow, so it was about time. Because Nabla does some amazing eyeshadow and I already reviewed the shade Selfish. That is a stunning purple duochrome, but when I spotted this, I knew I had to have it. Let’s have a closer look at the single shadow in Alchemy. 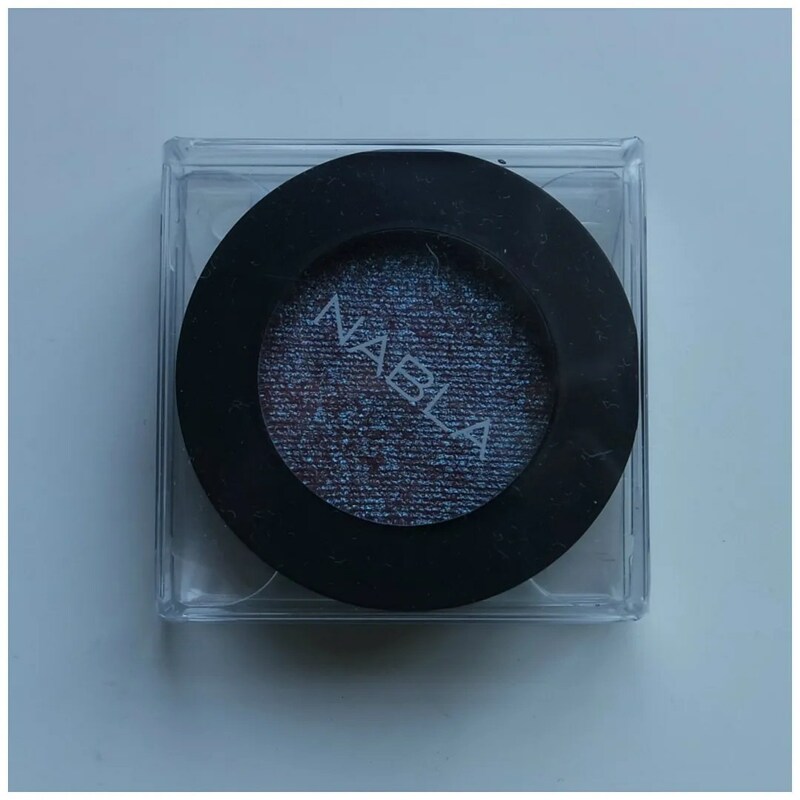 Nabla eyeshadows can be bought in two different formats. The first one is a refill pan. Those are much cheaper than the panned version which I have. The refills retail around €6.50 each. With those you do need a separate palette though, so I opted for the packaged version. Those I can no longer find online, but if I remember correctly these are around the €10 mark. 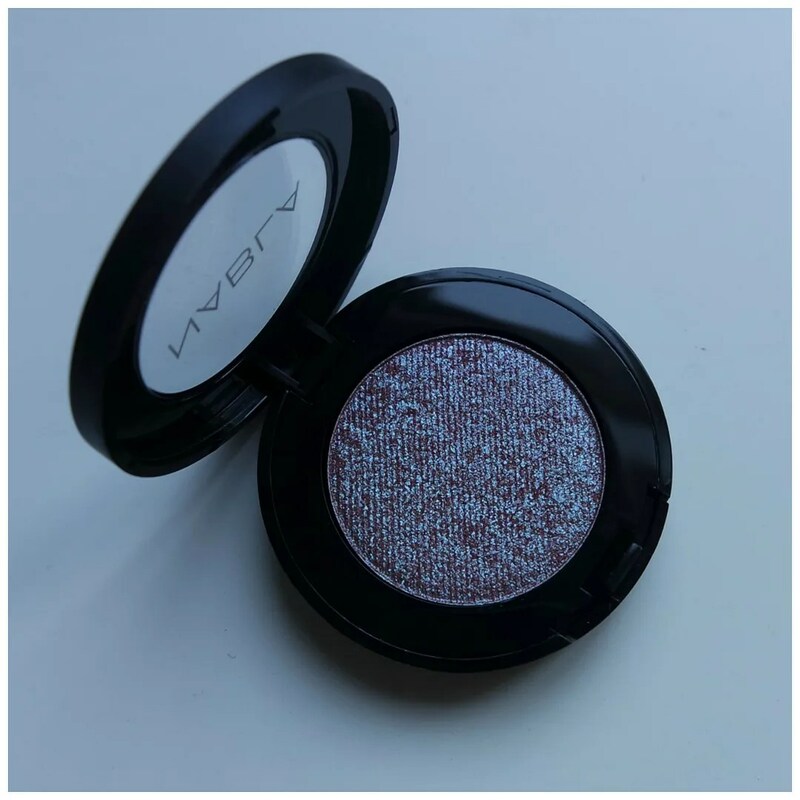 For a pretty duochrome like this, you will pay a bit more though: €12.50. The packaging of these eyeshadows is very simple, which is fine by me. The eyeshadow comes packaged in a clear plastic case. The shadow is houses in a plastic, lightweight compact. No space is taken up by anything but product. There is no mirror, but a clear lid which makes it easy to find this shadow in your stash. Just look at that! How stunning is this eyeshadow. I don’t think I have ever seen anything like this. 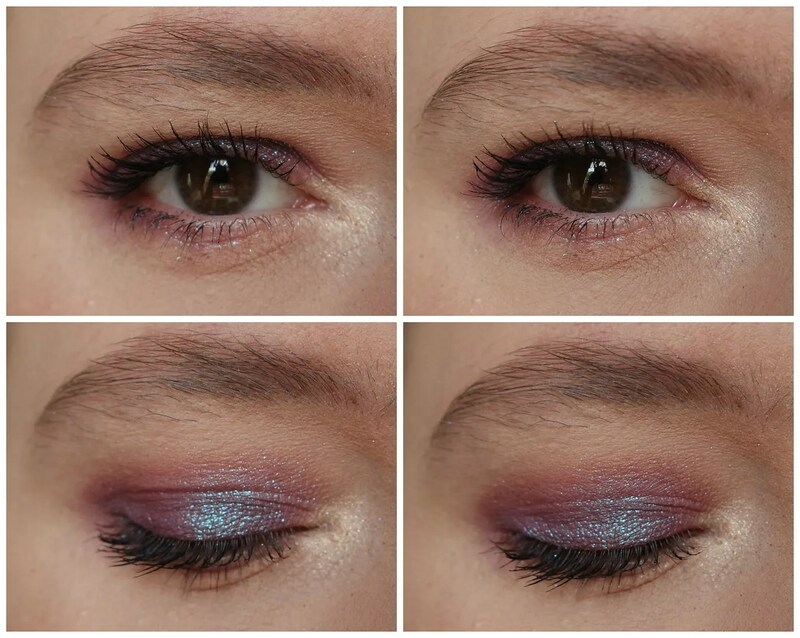 This shadow has a reddish brown base with a blue/ purple shimmery shift to it. The reflect on this is incredibly strong and I was glad to see that this is not an overspray. It is like MAC’s Blue/ Brown pigment, only with different colors. It truly is a chameleon type shade. The swatch of this does not disappoint. There is quite a bit of backpigment to this shadow and a very nice shine that really translates well when the light hits it. Nabla eyeshadow stays put well, but I always use an eyeshadow primer with all of my shadows. I do find that layering a paintpot or other shadow underneath it will bring out the shade even better. I have a Colourpop Supershock shadow in BAE and that pairs very well with it. 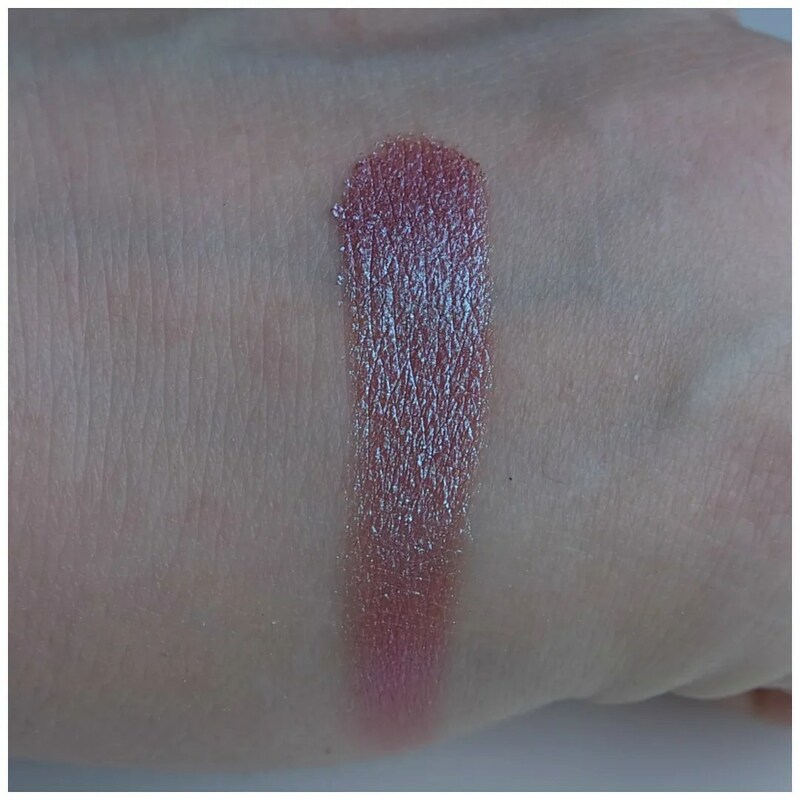 This is the Nabla shade layered over the Colourpop eyeshadow. I love how this shade shifts in the light. It looks more vibrant when the light hits is, but it is also shimmery when the light does not hit it directly. I love how the Colourpop shadow strengthens the color, while not interfering with the duochrome aspects of the shadow. If you are in the market for some unique, stunning eyeshadows, I would highly suggest you look into Nabla. Alchemy is a stunning duochrome shade that applies well, goes on smoothly and is a great workable shadow. I love it even more paired over a similar colored base, but it has enough impact on its own. You may need a Z-palette type palette to house them by now, but sometimes singles are a great way of expanding your eyeshadow collection with some more unique shades. This is definitely one. 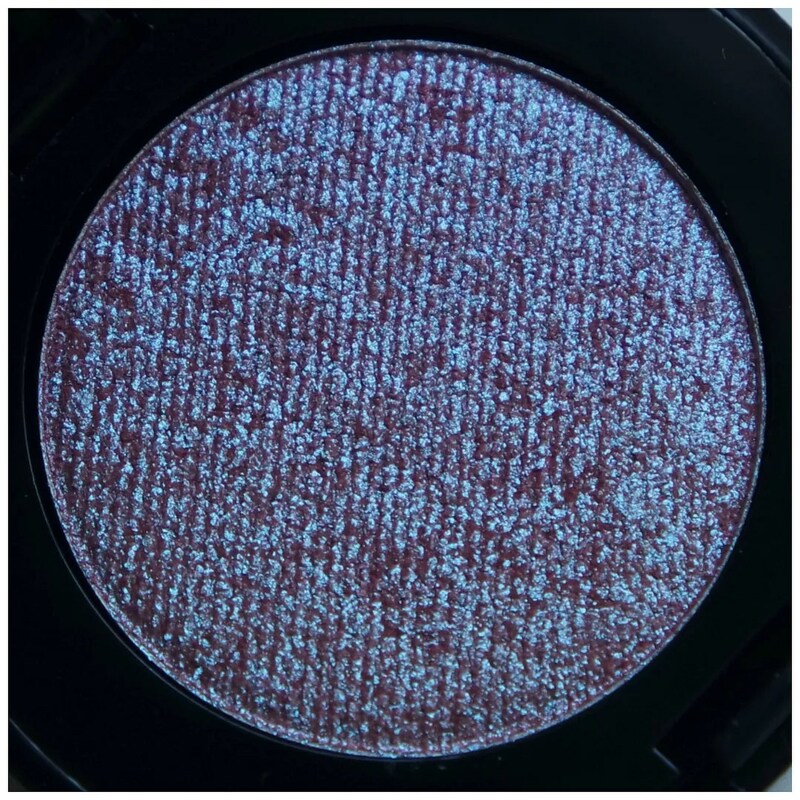 What do you think of Nabla’s Alchemy eyeshadow? Thanks! It is definitely one of the more unique shades in my makeup collection. They are Italian and world famous just yet but with products like this that will only be a matter of time. Wow, this is so gorgeous! I’ve heard good things about Nabla brand eye shadows. I wonder if layering this over a black base would yield interesting result. I personally am not a fan of black eyeshadow. I find it too dark, but I do think it would be pretty.